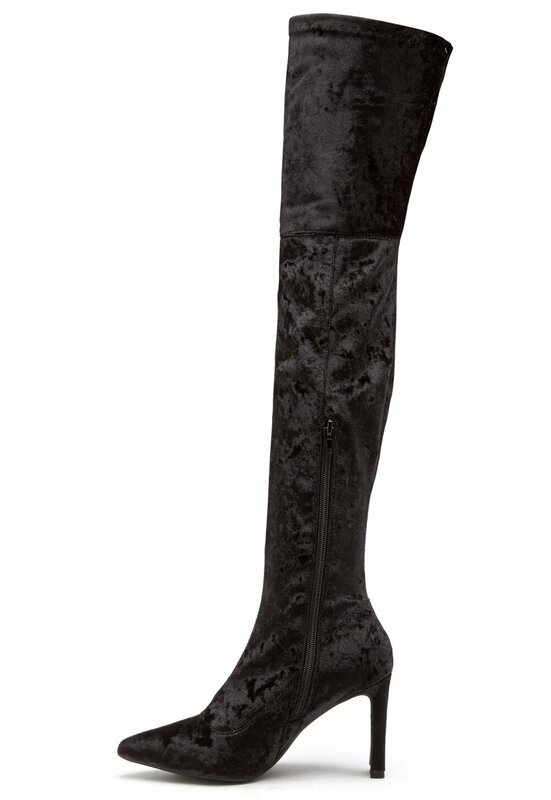 Elegant overknee boots from FRANCESCO MILANO. 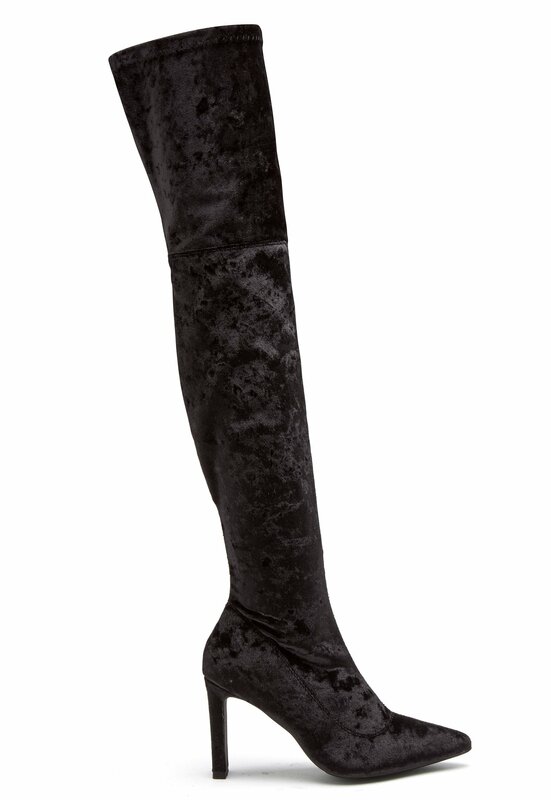 The boots are made from a soft, shiny velvet, and are perfect for both everyday wear and parties. 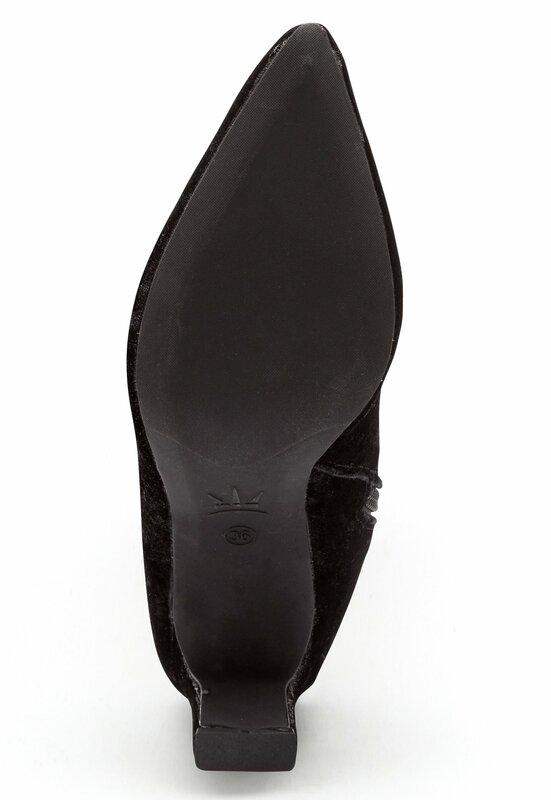 - Pointed tie - Firm quality - Short zipper on inside shaft Heel height 8.5 cm.